The ISIS figure captured by American Special Operations forces in Iraq a few weeks ago was the terror group's chief of its chemical weapons unit, a U.S. official said today. ISIS has a rudimentary sulfur mustard capability that it used last summer to limited effect against Kurdish forces in Iraq and Syria, U.S. officials said. It is believed that ISIS has sought to improve its capability to broaden its use of the blistering agent in Iraq and Syria. The individual captured by the new Iraq-based Expeditionary Targeting Force (ETF) was in charge of the unit developing chemical weapons for ISIS, a U.S. official told ABC News. Iraqi officials have identified him as Sleiman Daoud al-Afari, who used to work for the organization set up by Saddam Hussein to develop chemical weapons for his regime, according to the Associated Press. Al-Afari was captured by elite Delta Force commandos a few weeks ago in northern Iraq, the U.S. official said. 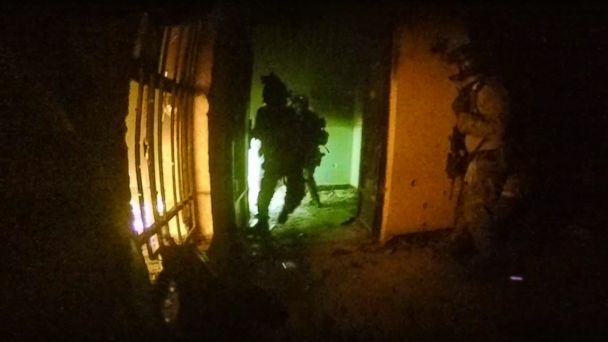 It was the first raid by the ETF, which is based in Iraq and designed to conduct raids against ISIS figures in Iraq and Syria. The idea is that interrogation of ISIS figures caught in raids will develop intelligence to target additional ISIS figures, officials said. Delta Force currently staffs the targeting task force. Al-Afari is currently being held by the U.S. military in Iraq and will be turned over to Iraqi officials after interrogations have been completed, the U.S. official said. His capture was first reported last week, though U.S. officials declined to identify his identity or role within ISIS. Last summer, ISIS forces used artillery shells containing sulfur mustard, in powderized form, against Kurdish forces in Iraq and Syria. The shells were transferred to American military control for testing, which later identified the presence of blistering agent and sulfur mustard in the shells, according to U.S. officials. The amount of chemicals contained in the shells was not enough to cause significant symptoms among the Kurdish troops that were targeted, officials said.